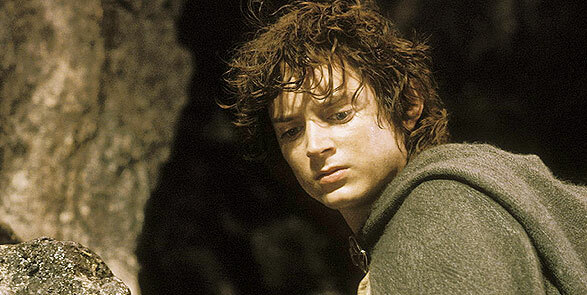 TNT will broadcast the third movie in the Lord of the Rings trilogy in HD today with limited commercials. Lord of the Rings: Return of the King will start at 7 pm ET/4 pm PT, following a run of the first two LOTR movies which begins at 11:30 am ET/8:30 am PT. The LOTR trilogy looks great in high definition; at times it’s like watching a whole new movie. But there are a few scenes that should be cleaned up before releasing on Blu-ray Disc. While watching “The Two Towers”, I noticed there were certain points in the movie where the black levels were completely crunched. There were also some really bad keying shots involving the hobbits, that hopefully will be cleaned up before a Blu-ray release. There is no scheduled date for a Blu-ray release of the Lord of the Rings trilogy, so for now you’ll have to settle for broadcast resolution. At the beginning of the year Peter Jackson mentioned the trilogy on BD would not happen in 2008, but it is being worked on. As far as the high-definition TNT broadcasts, they are absolutely worth watching. The higher resolution brings out all kinds of details not evident in standard-def. However, be prepared for some incredibly annoying commercial overlays. The network is not only running spots at the bottom of the screen, they now have cast members from the network’s prime time shows swinging down from ropes across the entire image. Sacrilegious, but I guess nothing is free anymore. There were some deleted from the TNT broadcast. One in particular is when Aragorn goes to meet the guardian of the black gates in ROTK and takes his head off. Lame to remove. those damn chroma key ads at the bottom have got to stop. doesn’t make you want to watch the show – makes you want to stop watching the network!